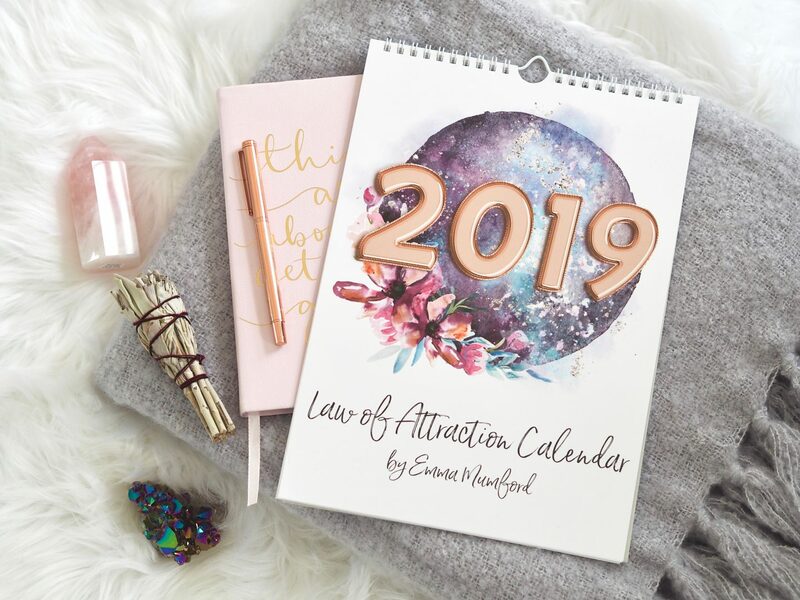 It’s that time of year again and I’m so thrilled to be able to bring you for the second year running my own Law of Attraction calendars. As you guys know these were the starting point of my merchandise range last year and after the incredible success of these I knew I had to do them again this year. 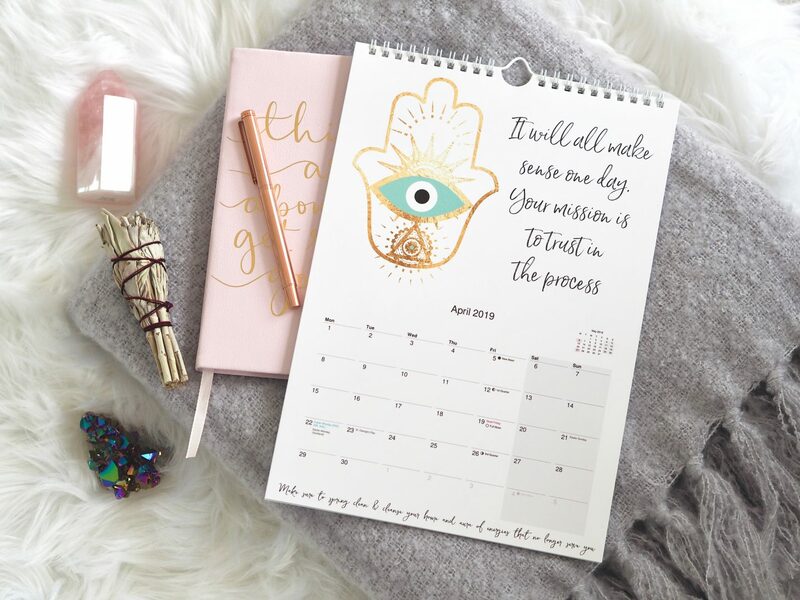 The purpose of these calendars is to give you daily inspiration offline. So you can be organised, wake up feeling motivated and on track. 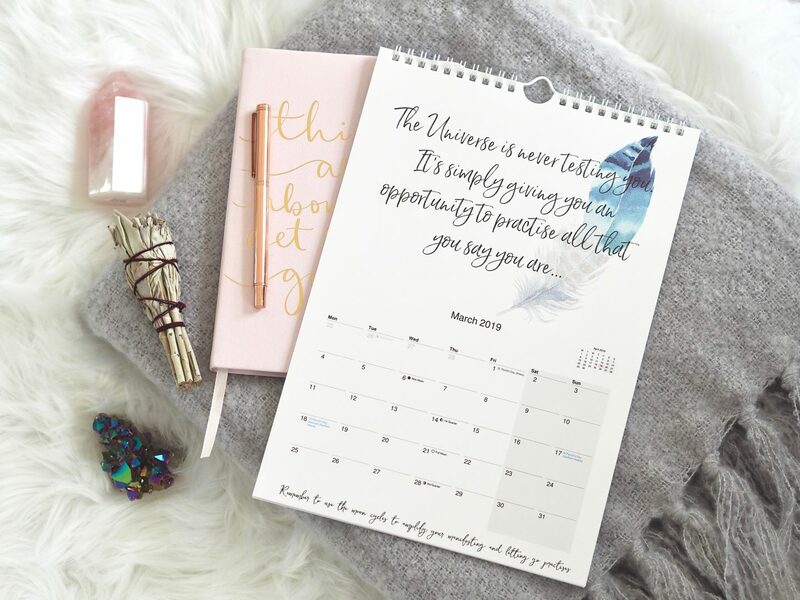 Each month has a beautiful unique design and quote at the top – complete with a full holiday calendar which also includes the moon cycles to help you manifest, top tips and affirmations to keep you going. 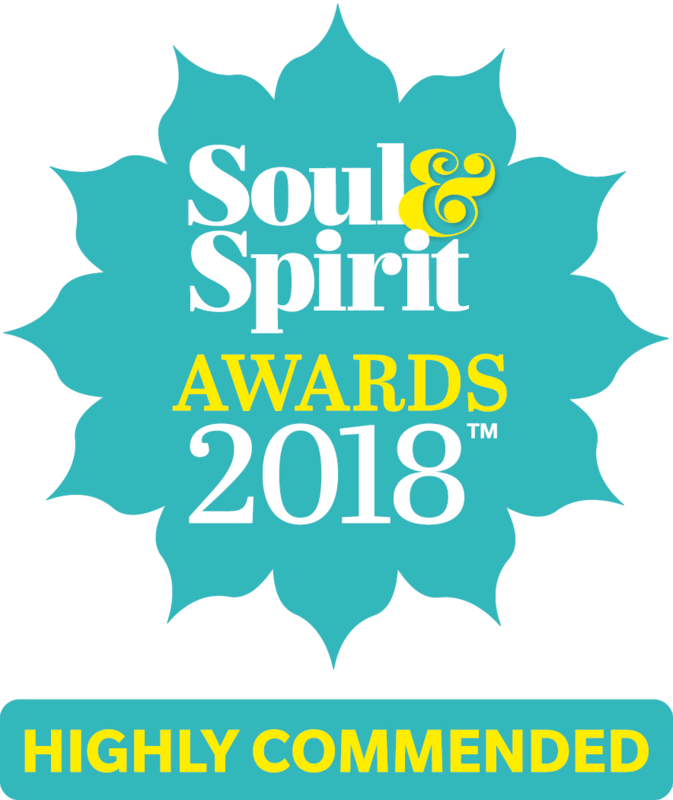 These were limited edition last year and after selling out after only three weeks, I have ordered more this time around but they still are limited edition, so once these have sold out I won’t be ordering any more for this year. So what’s included in the price? The calendars are £10 the same as last year and postage is and extra £2.99 (signed for) in the UK and £4.99 for worldwide shipping. Yes, we’re shipping worldwide baby! Also in your package, I will be including handwritten notes to you all. 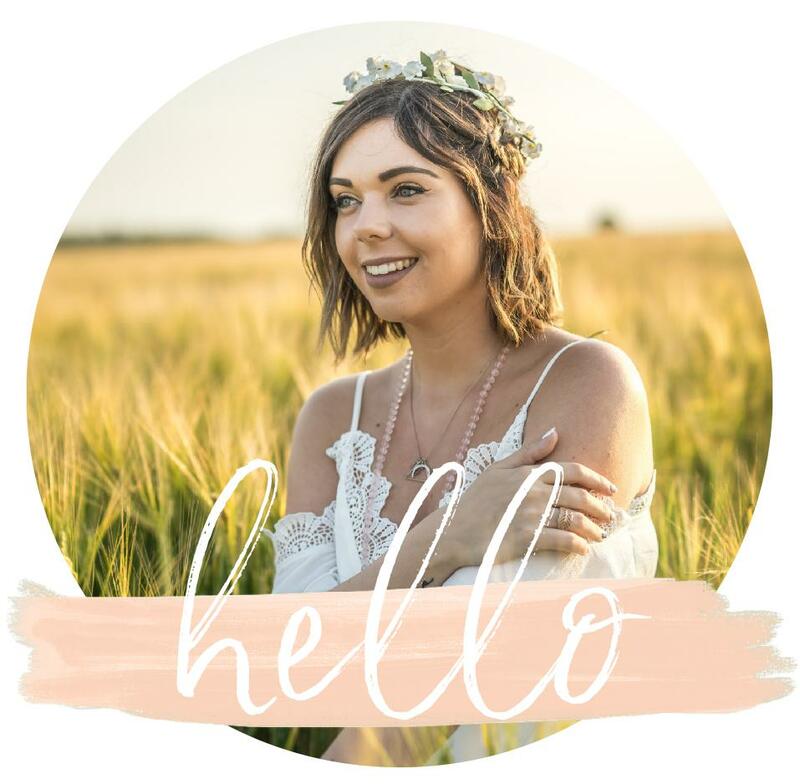 I’m so happy with this year’s design and how they have turned out once again, these have been on sale a few weeks now and I’m so happy with all your lovely comments and feedback on your orders – it’s certainly been keeping me busy! 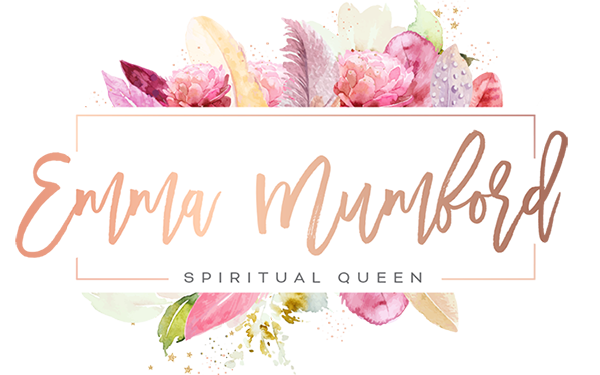 I hope these calendars bring you lots of joy, abundance and happiness throughout 2019 and help you on your manifesting journey. 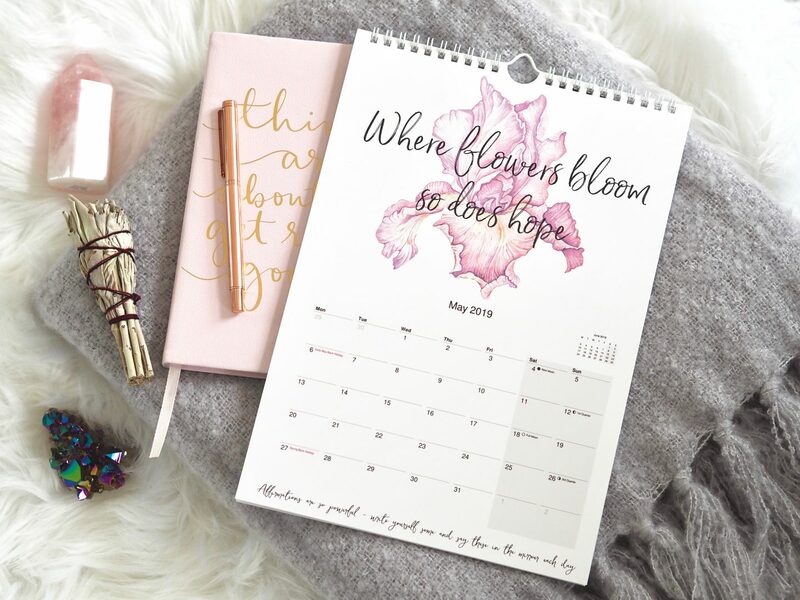 I love being able to design and create products like this that will bring joy to you each day.